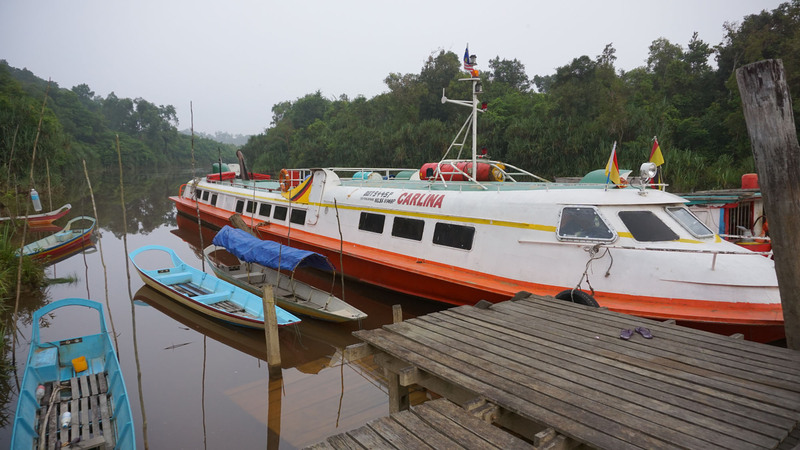 A near 3-hour river journey by ferry to the outskirts of Bintulu was the first outreach experience of its kind for our medical team unlike our usual base sites in other camps. 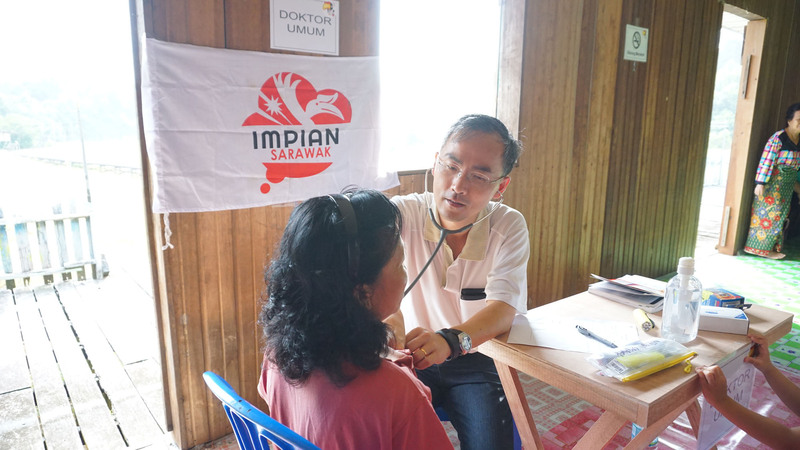 Impian Sarawak’s fourth health camp was held in Bintulu – the first medical site that required the tea to travel by river, at least on the first day! 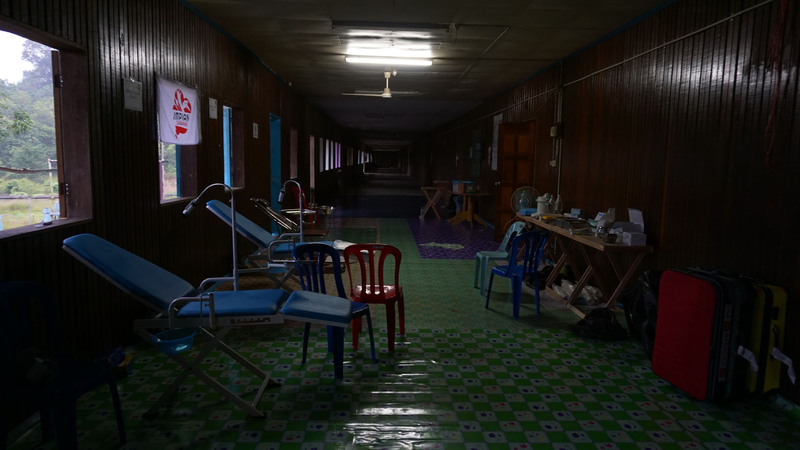 The journey alone was both exciting and daunting for some volunteers and doctors, but all were in high spirits as they boarded an express ferry from the meeting point of Bintulu wharf into Sg Binyo. With logging factories and houses built on stilts flanking the river expanse, the breezy expedition took about two-and-half hours. 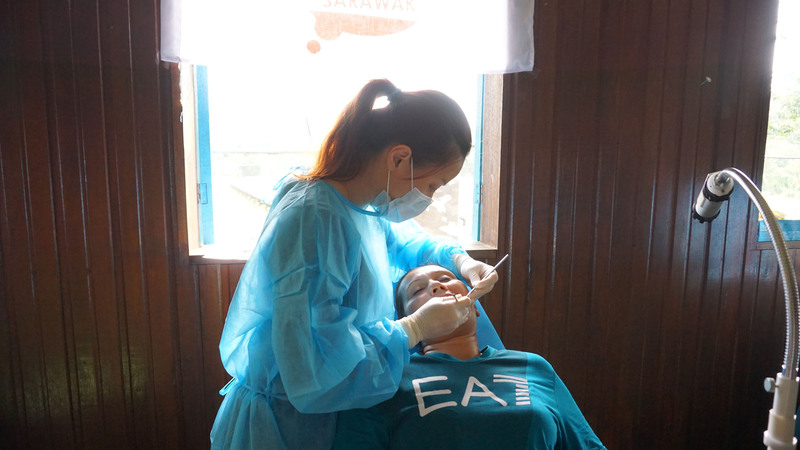 The team was made up of 3 Impian Sarawak coordinators, 6 medical professionals (3 doctors and 3 dentists), five medical graduate students, and six other individual volunteers. 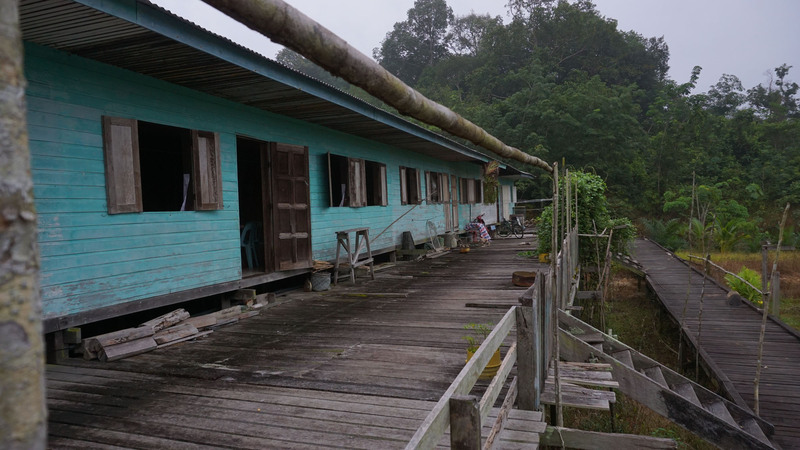 The 3-day camp was held at 3 different longhouses – the first day at Rumah Sengok in Sg Binyo, the second day at Rumah Janteng on the Bintulu-Miri Road, and Rumah Junit in Suai area on the final day. 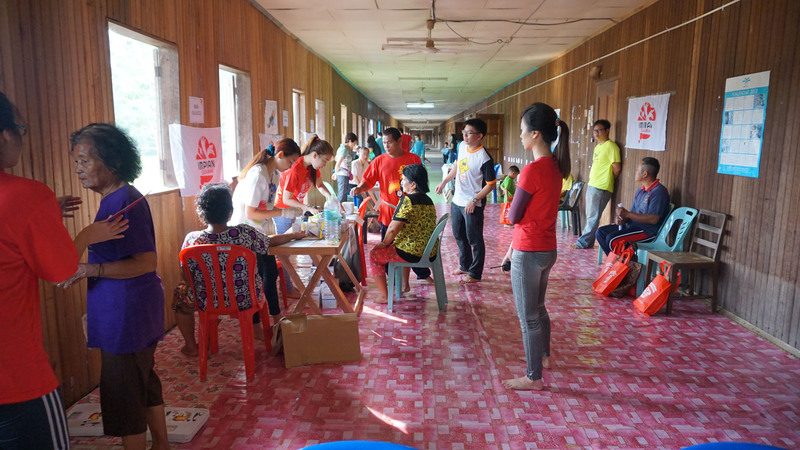 Throughout the 3 days, the team registered and treated over 241 patients and extracted 221 teeth. 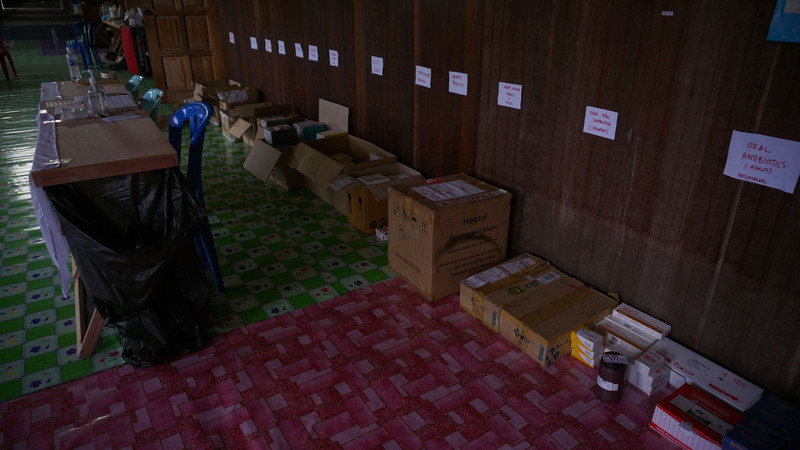 Many villagers also arrived from other longhouses in the area, like one Baling Anak Pata who came by boat with his entire family from the inner reaches of Pendan. “It took us two hours to get here due to the low water level since it is the drought season. 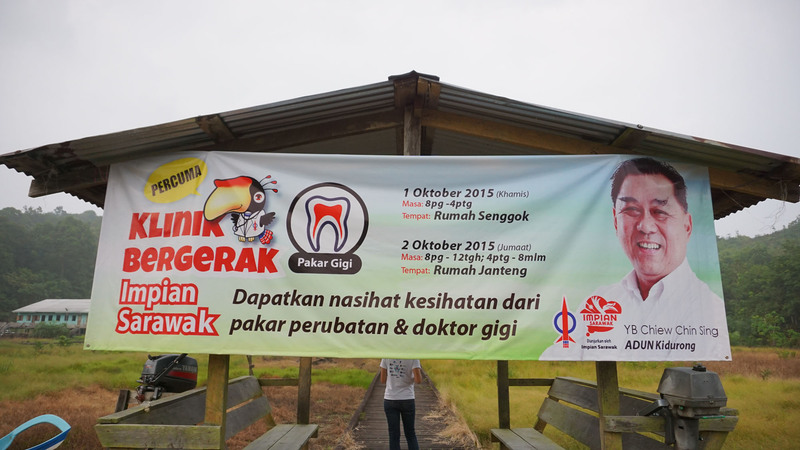 But we wanted to come here because it is so rare that a mobile clinic service like this is extended to us,” said a 41-year-old, who earns about RM700 a month cutting grass in school. He said while the nearest government clinic for them is a 15-min boat ride away, it is only capable of serving very rudimentary cases. For bigger emergencies, the villagers would still need to get into Bintulu town by the same ferry ride. An alternative would be to take a 4WD down a bumpy road which would become dangerously risky after a downpour. According to a volunteer dentist, patients whom he attended to had mostly suffered from bad gum diseases while some also had decays. “All these problems boil down to basics of oral healthcare and education awareness, especially since the water they use is non-filtered and does not contain fluoride. At the same time, they had been practising incorrect brushing technique that causes gum abrasssion. I was shocked in fact to see a lot of young people having bad teeth issues, not just the older folks,” he said. Meanwhile, Kidurong State Assemblyman YB Chiew Chin Sing helped in sponsoring RM1,000 of the chartered ferry cost.